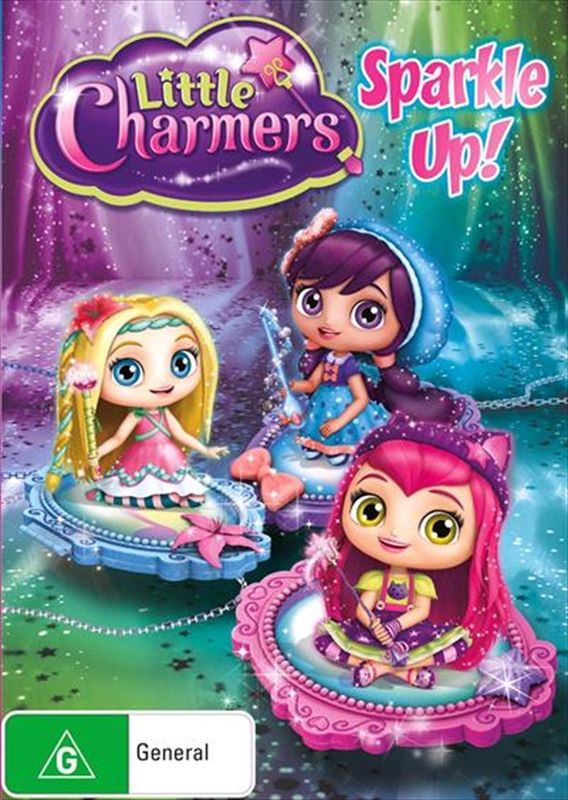 Little Charmers - Sparkle Up! In the magical land of Charmville, charmers have special powers. Charmer-in-training Hazel and her best friends, Posie and Lavender, are still getting used to their powers. Fearless go-getter Hazel leads the group on adventures designed to break in their magical abilities. Even though Hazel knows her magic should be utilized for important things only - especially while in training - she can't resist helping people, fixing things or just having fun with it. Her powers sometimes backfire on her, however, and then it's time for Posie and Lavender to back her up. Title: Little Charmers - Sparkle Up!